In Zambia, Ground Truth 2.0 citizen observatory Niti Luli is designing a platform to support the work of existing Village Action Groups (VAG) and Community Resource Boards (CRB), a structure mandated under the Wildlife Law to realize a community-based natural resource management (CBNRM) approach. The CRB Sesheke West was selected for the initial pilot activities which will be scaled-up to more CRBs. The local stakeholders decided that the citizen observatory should serve to overcome a lack of accountability, coordination and communication between different governance levels, and especially the lack of involvement of local stakeholders in the planning and implementation of programmes. Together with failure of projects to deliver tangible benefits responsive to community needs, funding restrictions and logistical challenges, this challenge is thought to limit the benefits of sustainable resource management. This undermines local trust in conservation efforts and leads to continuous natural resource degradation that makes communities poorer. 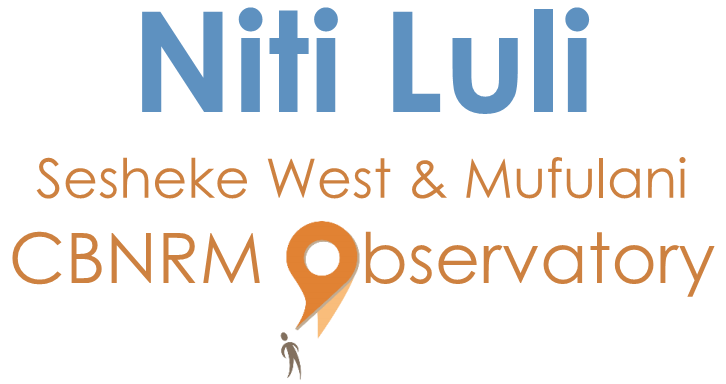 Following from the above, Niti Luli’s mission is to provide the virtual space for a ‘permanent community meeting’ of local communities, government agencies, NGOs and donors, and to simplify communication and sharing of information to make natural resource management responsive to community needs. For updates on the Demo Case, visit our news section. Niti Luli’s own website will be online soon!